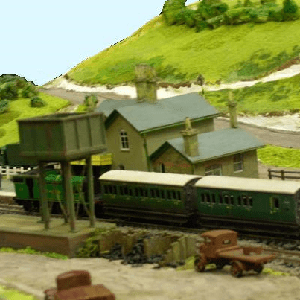 Some layouts built and owned by some CMRS members. Click on the image or title of the layout to get more information. 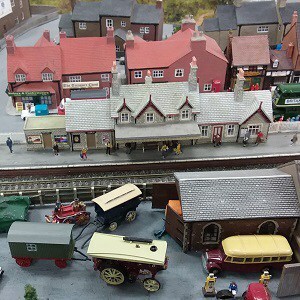 An 009 Gauge layout which was first shown at an early stage of construction at the Croydon MRS Exhibition in 2018. 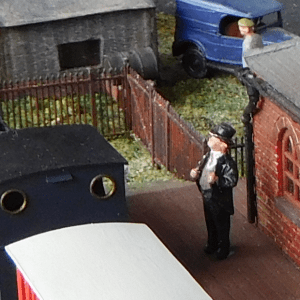 Wats Lane is imagined to be a preserved railway in the south of England. 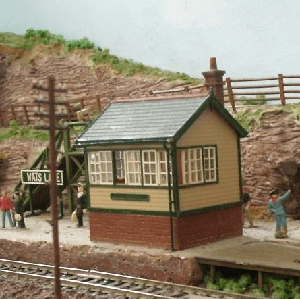 Formerly it was an interchange between a quarry line and a short branch line, which also served the small local community. Stickey End is an imaginary small branch terminus in the south of England. Originally built by a Victorian industrialist to serve his private estate, it was mainly used in the steam era by Londoners escaping into the countryside. The layout title ‘Meinrheinszene’ is translated as ‘My Rhine Scene’. The location is fictitious but is inspired by the Rhine valley main line, particularly through the Rhine Gorge region between Koblenz and Rudesheim. The scale is 2mm.